With working full time and having a family with 2 kids it can be hard to get on a trip but Jourdan Barba made it work and headed up to SF with Chris Bracamonte for some good times on the bike. Tim Storey features in this new mixtape from Dylan Steinhardt up in Brisbane. Well worth a watch! 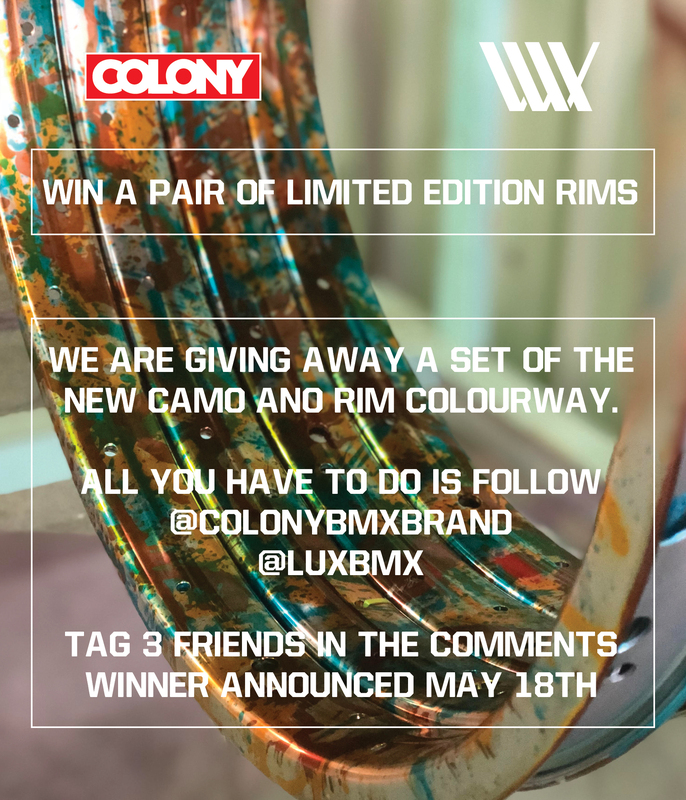 We have one more set of Camo Ano rims to giveaway. 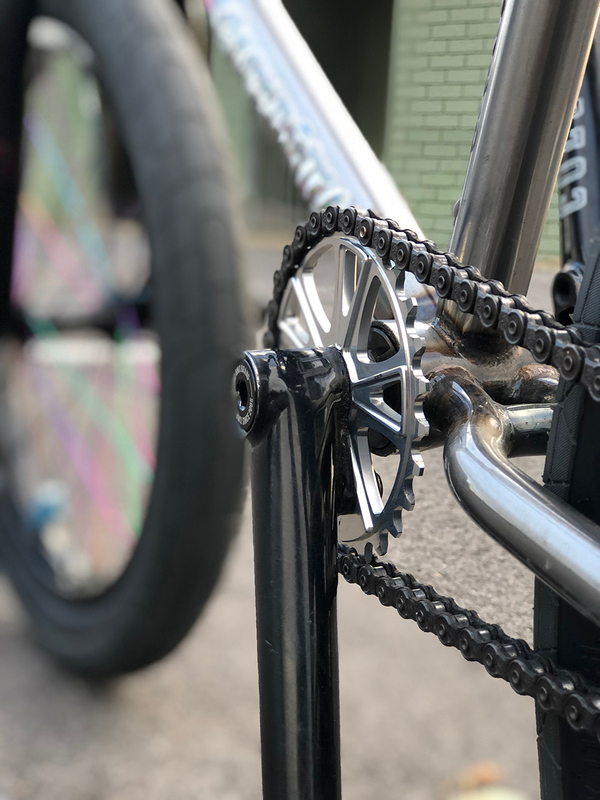 If you jump over to our Instagram @colonybmxbrand make sure you’re following both us and @luxbmx, tag a few friends and you are in with a chance! Tim Storey has been stacking clips over the past few months with the homies and he’s come out the other side with a video stacked with great clips. Tim Storey video drops tomorrow! Tim recently broke his wrist but finished up filming for this part just before it happened. Here’s a little teaser for the video that drops tomorrow! Congrats to Marin Rantes who came 3rd at Fise in Montpellier over the weekend. Photo shot by Koteote. Nathan Hines can really man handle a bike, new video from a trip he did with Rayden Wickop recently from Vancouver to Oregon. Alex Hiam and Chris James head north for the day. Here’s the behind the scenes and left over clips from the good times we had on our bikes. Parks we hit: Caloundra park & Alex Heads park.